I am having exciting news! 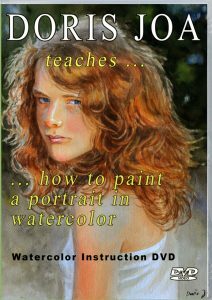 In the past weeks I tested some watercolor brushes from Scharff Brushes, Inc. 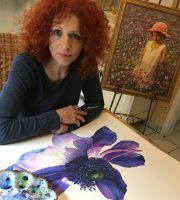 I worked with a lot of Scharff brushes on small and large paintings, on figurative paintings and on a rose painting and I am amazed with the quality of these brushes. The point is always perfect, the brushes are very good to handle, they take all the needed amount of water and the price is very good, too! 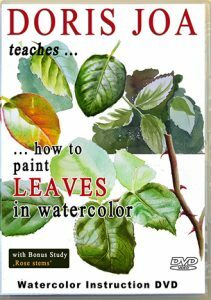 I came to the point where I decided which brushes are only needed for doing my watercolor paintings, no matter what the subject is, no matter if I have to work on small or large areas or if I need good details or if I would like to do large washes. I choosed 7 brushes. I don’t need any more brushes for my artwork. 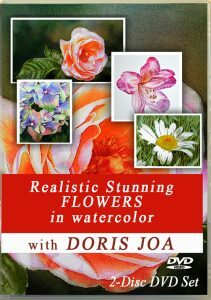 Scharff Brush, Inc. was so nice to put my recommended watercolor brushes as a Doris Joa Watercolor Brush set together and is offering it for a good price on their website. This brush is perfect for large washes. 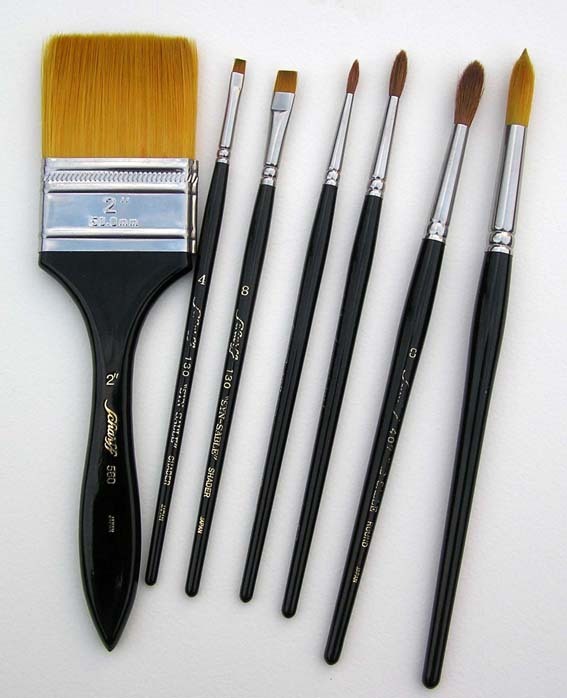 A very useful brush, which can be used as a scrubby brush to soften the edges, which is needed so often in a painting. It works very well. It also works very well when you want to lift some colours. This brush is superb, has a wonderful point and these sizes can be used for mostly all areas in a painting. A good but less expensive addition to the Series 407 – for larger areas. The point is very good, too! I really took a long time to test these brushes. 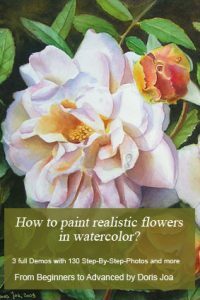 With such a brush set each watercolor artist has all brushes at hand which are needed for painting. 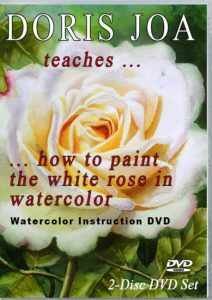 I know that watercolorists do look for quality and professional tools even if they are beginner or advanced artists. 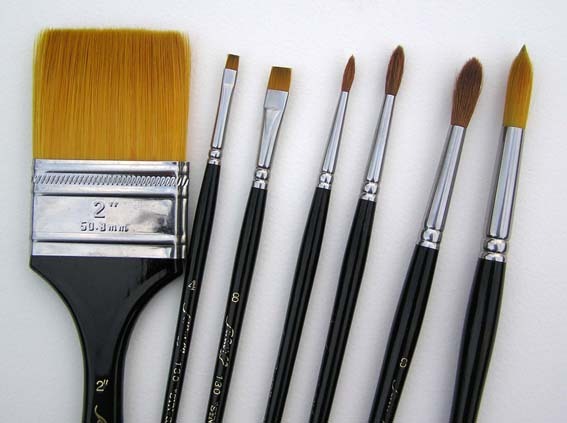 With the brushes from Scharff Brush, Inc. they will get highest quality for a very good price.